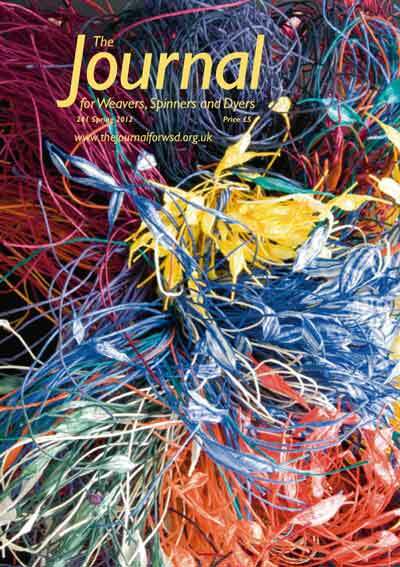 The Journal for Weavers, Spinners & Dyers, the official magazine for the Association of Guilds for Weavers, Spinners & Dyers (UK), featured a glowing review of our DVD in the current Spring 2012 issue (issue 241, p 41). 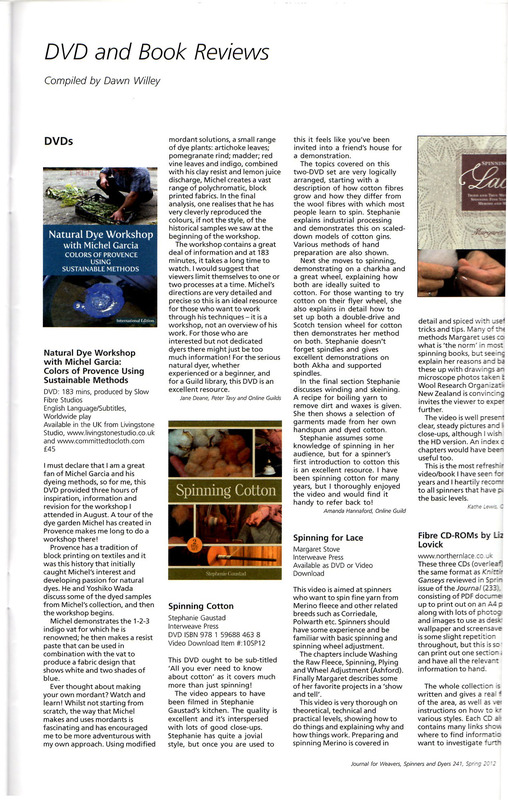 Sincere thanks to Jane Deane, Peter Tavy, and Dawn Willey for including our DVD in your publication. This entry was posted on 1 March 2012 by World Shibori Network and tagged garcia, natural dye, press.